Stephen Hawking has passed away at the age of 76, way passed what he was expected to live by due to being diagnosed with Motor Neurone disease at the age of 21 and given two years to live. Stephen Hawking was one of the greatest minds of the 21st century in physics but it wasn’t just the field of science that Hawking was popular in. Hawking had transitioned into popular culture. Hawking in a wheelchair and his distinct voice is a strong image ingrained into popular culture. For some it became a constant source of comedy that in hindsight seem unruly and harsh, if not Hawking had a terrific sense of humour and also joked about the poor cards that he had been dealt. He saw every day that he lived lucky and embraced life and fought for the causes that was closed to him, science and the NHS, the health service that he always credited as saving his life. As a tribute I want to discuss Hawking’s cameo’s into popular culture. 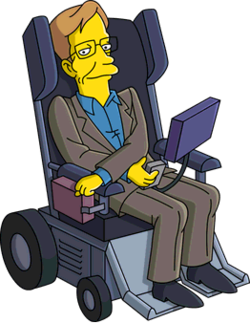 Stephen Hawking’s cameo in The Simpsons is one of the greatest celebrity cameos in the shows long and storied history. He first made an appearance in the Season 10 episode, They Saved Lisa’s Brain. The episode where Springfield residents from MENSA take over the rule of the town and creates chaos. Hawking arrives to witness the failing utopia and advises Lisa that intelligent people are open to failure, except from himself obviously. The cameo is made legendary by the fact that he punches Principal Skinner with an extendable boxing glove from his chair, then escapes via helicopter blades from his chair, harking similarities to Inspector Gadget. Hawking has returned as himself three other times, drinking a beer with homer and discussing the universe being doughnut shaped. Every appearance by Hawking was always hilarious and he enjoyed it so much, he had the simpson figure on his desk and would turn up to script reads of Simpsons episodes uninvited and just watch and trade quips with the cast while the script was being read. 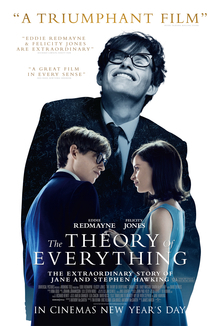 The 2014 biopic of Stephen Hawking’s life was my favourite film from that year and has been immortalised into my top films of all time. I grew up in fascination of Hawking, his ideas, his triumph over adversary, it was an inspiration. I sat in the cinema crying my eyes out at the raw emotion from the cinematic representation of his life. The amount of intelligence and life within the character, the potential of the mind of Hawking was hindered by his disease. However the true impact came from the overcoming of that. Redmayne’s portrayal of Hawking was magnificent and I still can’t watch the scene when he is struggling up the stairs. It is a wonderful story that isn’t sad but should be seen as an inspiration. This is not a story of pity but one of overcoming the odds. When Hawking watched this for the first time, it was reported that it brought Hawking to tears. 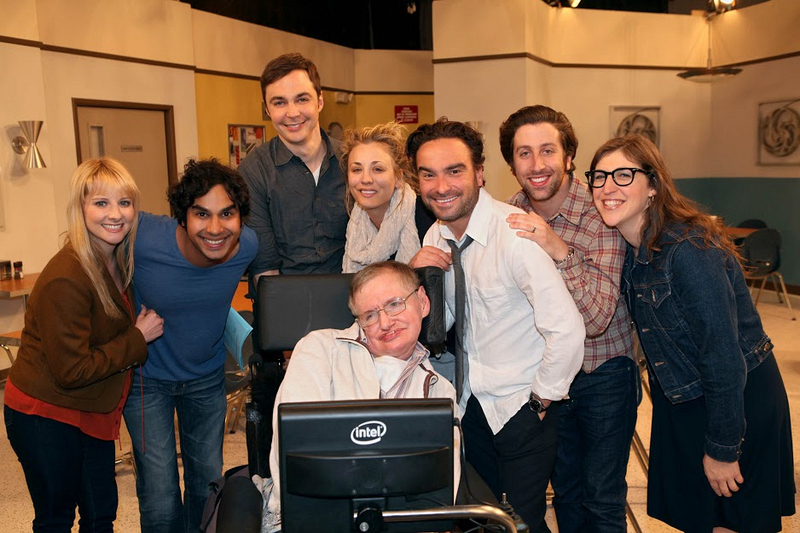 Stephen Hawking turned up on the 5th season episode of the popular series The Big Bang Theory as Howard is tasked with maintaining Hawking’s wheelchair at a lecture at Caltech. He appears in the final scene when Sheldon meets him and discovers an error in the paper that Sheldon gives him. In result, Sheldon faints. Hawking was a huge fan of the show and used his voice for future episodes. He also recorded a video for 2013 Comic-Con, in which he sang the show’s theme tune. Hawking would appear on numerous show’s willing to have fun and joke. The John Oliver interview is one of the funniest bits of John Oliver’s Last Week Tonight. The best line from the interview is definitely where Oliver mentions that there is infinite universes so it is possible that there is a universe where Oliver is smarter than Hawking. Hawking agrees and also quips that there may also be a universe where John Oliver is funny. He has also appeared in Family Guy, Futurama and Star Trek. The many cameo’s that Stephen Hawking has done has made him one of the most adored figures in science. It is an example of Stephen Hawking’s mantra that he took his work seriously but his life was full of fun. The many theories and ideas that Hawking has put forward, if you are going to live by one, just work hard and have fun.